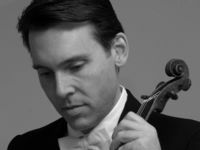 The concert also features a seldom-heard bonus piece by Hindemith, the Duett for Viola and Cello (1934),which gives Orion the opportunity to highlight the musical talents of guest violist Stephen Boe and Orion cellist Judy Stone. Orion’s “Musical Travels” season continues with “Sounds of Russia” in March, featuring guest pianist Sebastian Huydts, violist Stephen Boe and a guest narrator from the Chicago High School for the Arts for a program including the second Beethoven Opus 9 Trio and works by Stravinsky and Rachmaninoff; and “Czech and American Romance” in May and June, featuring violist Stephen Boe performing on the third Beethoven Opus 9 Trio and works by Amon, Gershwin and Dvorak. In addition to its annual four-concert series in three Chicagoland areas, Orion appears on the broadcast series “Live from WFMT” in November 2013 (date TBD) and on March 24, 2014. Orion also tours, performing in chamber music series across the country. Its most recent CD is Twilight of the Romantics.